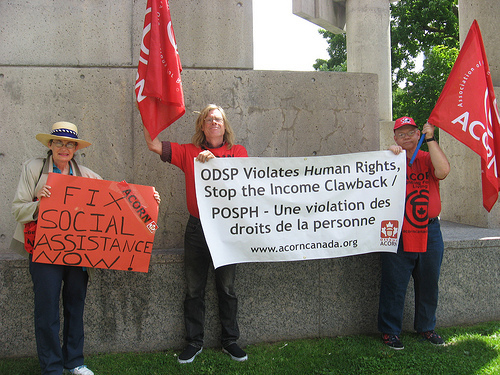 Ottawa ACORN members are taking action this Friday! Social Assistance is already inadequate, and after the recent social assistance review, members are concerned that the cuts to the Community Start Up and Maintenance benefit are making a bad situation worse. Members will hold an action in front of 370 Catherine St. (Ministry of Social and Community Services branch) on Friday, November 30th at 12PM. Everyone is welcome to join us - there's power in numbers, so let's get members, friends, family and supporters on the street! Check out our new short film by the Ottawa ACORN Social Assistance Committee.